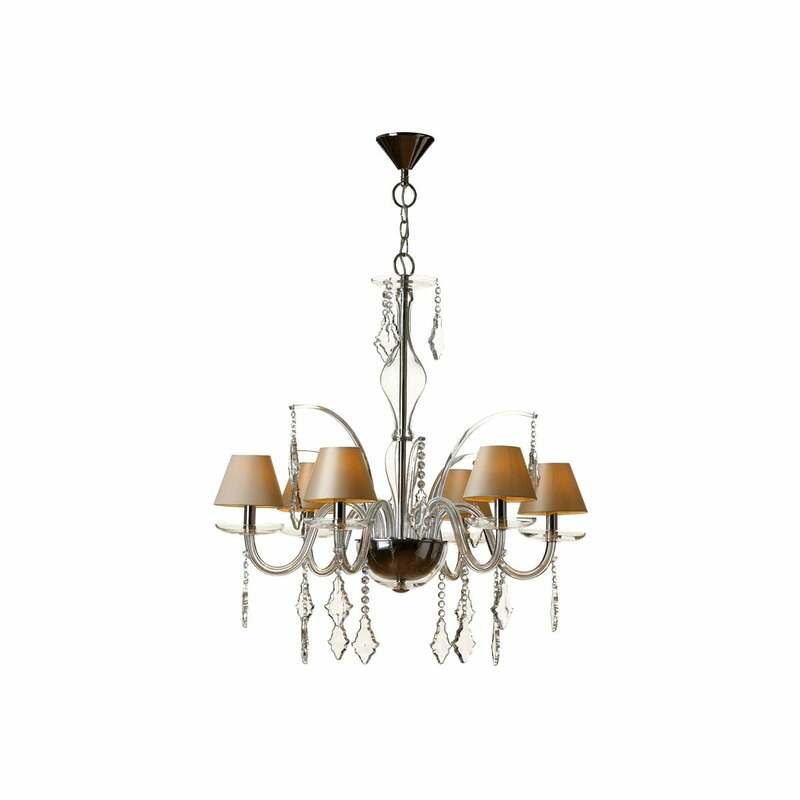 Shaded Glass Chandelier Lisbon to Paris, is inspired by the architectonic details of Paris, France. 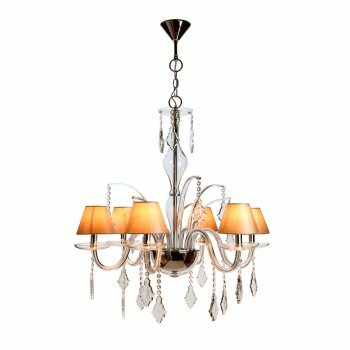 A traditionally styled 6 light chandelier, designed by Villa Lumi features crystal droplets and beads, enhanced by a beautifully crafted frame, nickel finish and curved arms. 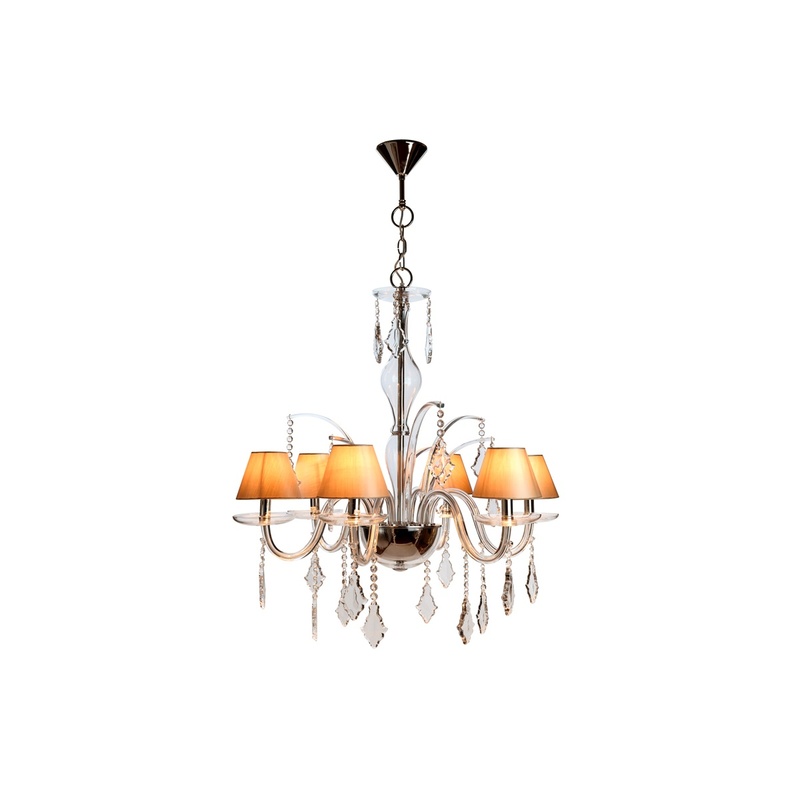 The epitome of elegance, this French style Glass Chandelier will create an impact in any room.